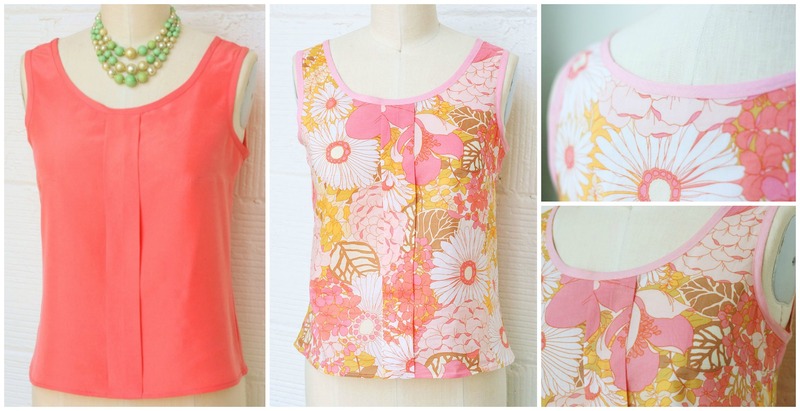 Today we want to show you how to sew Sorbetto Tank top. Look at these pictures and you will see with your eyes how beautiful is this top. Find some free time, necessary supplies and start making beautiful clothing for your everyday life with your hands and hobby. If you are going to your friends birthday or it’s a holiday and want to make present to your family member this top will be perfect, because it’s very easy to sew and very beautiful too. We hope we will see another great designs and tutorials from same author, because this one is great. We hope you will enjoy. Good Luck.